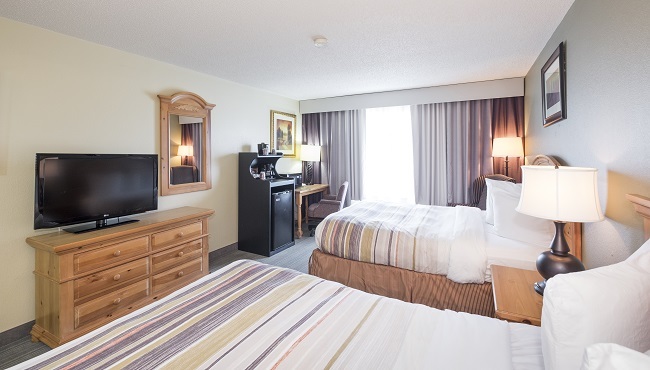 After a day in Chicago, unpack your bags in one of the warmly decorated, welcoming rooms or suites at the Country Inn & Suites hotel in Matteson, IL. Stay on task with important projects using free high-speed Internet access, and then sign off for the day to watch your favorite show on the cable TV. For families, snack time is more convenient thanks to an in-room microwave and refrigerator. Handy basics like a hair dryer and an iron with an ironing board also make it easier to pack lightly. 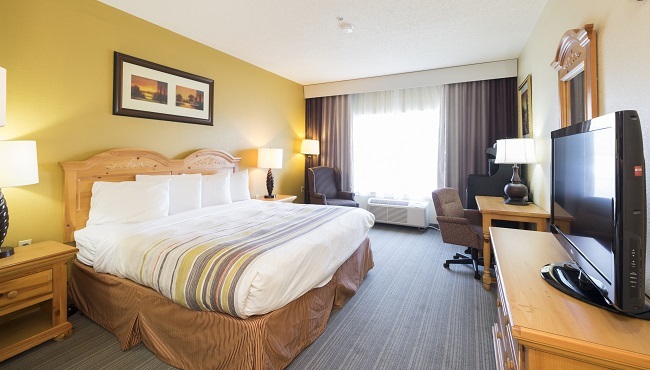 For a relaxing stay with amenities like free Wi-Fi and one king bed or two queen beds, book our Standard Guest Room. Traveling for work? 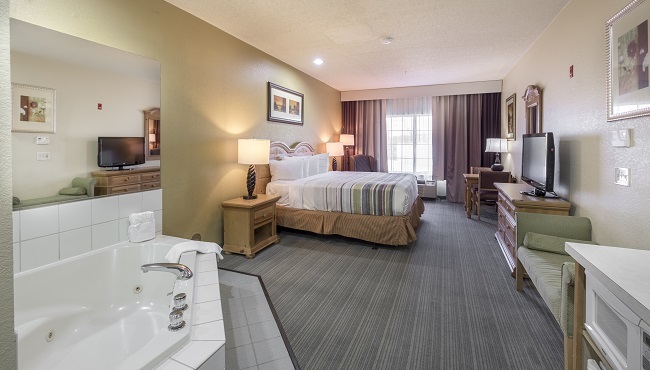 Book a King Suite and stretch out on your king-size bed in front of the TV every night. These suites also offer a separate living area with a sleeper sofa and an additional TV. Treat someone special to a romantic getaway in our Whirlpool Suite, featuring an in-room whirlpool for two and a king-size bed.